How can Bowen help me? Why is a gentle Bowen move so powerful? So what is Bowen Therapy? 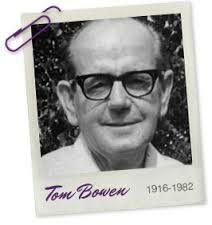 Bowen Therapy (also known as Bowtech) was developed by Tom Bowen of Geelong, Australia starting back in the 1950s. Bowen Therapy activates the body to balance and heal itself, and the Bowen Technique is a specific series of moves, followed by specific pauses. In a session, the practitioner may do a few moves, then step out of the room for 2-3 minutes. Then do a few more moves, and step out of the room for another couple minutes. It continues this way until the practitioner has done everything they have to do. The series of moves deliver signals to the nervous system at specific locations - across fascia, muscles, tendons, ligaments, nerves - and triggers the body to balance and reset. The Bowen moves are gentle and soft, surprisingly and even deceptively soft. I've had many clients admit to thinking, "How is this doing anything? It doesn't feel like it's going to work". But it does. And Bowen tends to work rather quickly for those people who respond to it. It can be effective for a recent injury, or on a longer-term or chronic issue. It taps into the body's incredible ability to heal itself regardless of how long it's been suffering. But to be perfectly honest, Bowen doesn't work all the time. Nothing does. Sometimes it takes a while to find the modality that works best for you at a particular point in time, be it Bowen, massage, acupuncture, etc. There are some people who respond VERY quickly to Bowen and enjoy a big improvement or complete resolution of their issue in just a couple of sessions, most clients notice changes right after and/or in the days following a session, however, there's a small part of the population who don't feel any difference - and that's okay. For those who do respond to Bowen, a course of 3-6 sessions is typical, 7-10 days apart. Why the pauses? Some Bowen moves are followed by a pause, and it's a very important part of the process. This time allows the move to integrate throughout the body and start affecting a change. Some pauses are only 2 minutes, others can be up to 15, it depends on the depth or magnitude of the change. Bowen is a 'complementary' modality in the sense that it enhances and complements, but does not interfere with, traditional medical attention. Because this technique is so effective, it has been widely embraced by a broad spectrum of people. Health professionals are impressed by the effectiveness of the Bowen technique and the diversity of problems addressed by it. I encourage you to give Bowen a try if you haven't had success with other things, or even if you have! Sometimes called the homeopathy of bodywork, it utilizes subtle inputs to the body (known as moves), stimulating the body to heal itself, often profoundly.